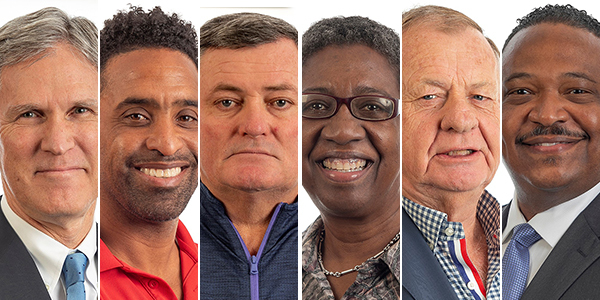 Her Majesty the Queen has recognized a number of Bermudians in her annual New Year’s Honours List, with Dr Grant Gibbons, Mark Norman, Michael Winfield, Meredith Ebbin, Janeiro Tucker and Sean Tucker all being honoured for their contributions. Dr. Grant Gibbons was first appointed to the Senate in 1993 and the following July elected to Parliament for Paget East. He served as the Minister of Management and Technology from July 1994 to September 1995 and Minister of Finance from 1995 for three years. From 2001 to 2006, he was the Opposition Leader and in December 2012 appointed Minister of Economic Development, a post he held for five years. From December 2013 – January 2015 he also served as the Minister of Education. During his tenure as the Minister of Management and Technology he led the Bases Transition Program from January 1994 and coordinated the negotiations surrounding the closure of the U.S. military bases at the Southampton Naval Annex, Tudor Hill and the Kindley Air Force Base. 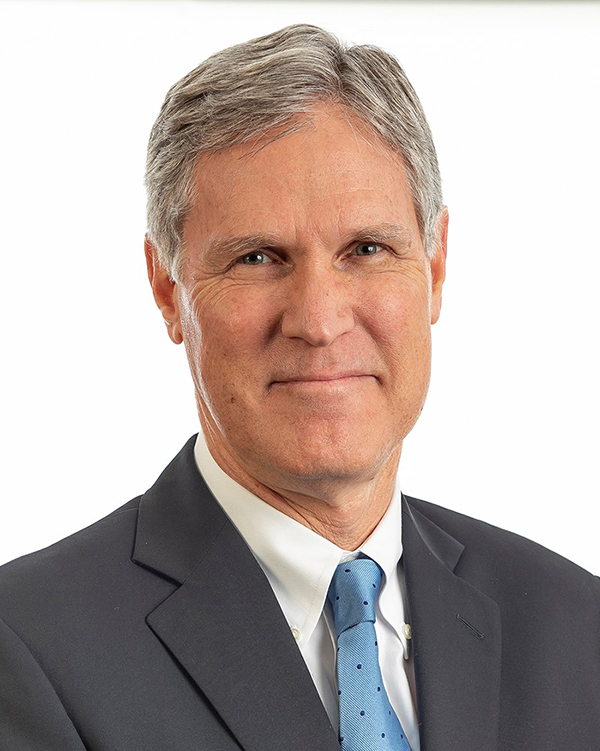 He also initiated the deregulation of Bermuda’s telecommunications sector with the June 1995 Telecommunications Policy Statement that ended Cable and Wireless’s monopoly on long-distance telephone service and paved the way for competition in the sector. As the Minister for Economic Development he introduced the Personal Information Protection Act 2016 [PIPA], providing protection for individuals’ personal information and establishing requirements for safe handling by government and the private sector. 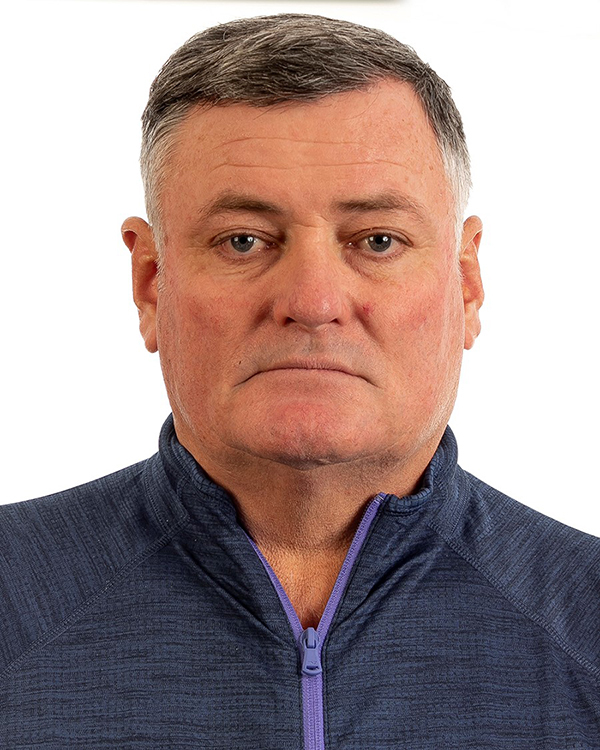 He also led the Bermuda Bid Team that in 2014 brought the 35th America’s Cup race to Bermuda and directed the successful delivery of the 35th America’s Cup event in Bermuda. Dr. Gibbons has a Ph.D. in organic chemistry from Harvard University and worked under Nobel Laureate Professor, R. B. Woodward. He is currently the Chairman, Colonial Group International. Mark Norman moved to Bermuda from the UK in February 1981, when he joined the Bermuda Police Service. That summer he volunteered as an instructor with the Outward Bound Bermuda [OBB] programme, which he continued with each summer until 1989. Between 1986 and 1989 he was involved with the Police Road Safety Department and visited the Island’s schools with a mobile classroom bus. He was also instrumental in the introduction of Project Ride and co-authored the initial road and written tests as well as practical training with the then Devon Lane School. In 1989 he was appointed as the Coordinator for OBB and made it a year round programme with more than 1,000 students attending a year at the Paget Island base. When Outward Bound Bermuda became a registered charity, Mark was appointed as the Executive Director. At that time, OBB provided the only opportunity for students to complete the Gold Expedition of the Duke of Edinburgh’s Award [Mark was a Gold Awardee in 1976]. Mr. Norman assisted with the initial years of Raleigh Bermuda student training and was one of the first directors of The Bermuda Sloop Foundation. Mr. Norman is the recipient of the Queen’s Jubilee and Diamond Jubilee Medals and the Police Long Service Medal [38yrs]. In 2004 he was awarded the Service Medal from the Royal Life Saving Society [UK]. Michael Winfield grew up in Somerset and attended schools in Bermuda, Canada and the United Kingdom. He has worked in a number of positions within the hospitality industry, including Manager, Southampton Princess; General Manager Cambridge Beaches; and President and CEO, Cambridge Beaches Limited. Additionally, Mr. Winfield was the Campaign Chairman of the United Bermuda Party, off and on, for 17 years [1981 – 1998]. 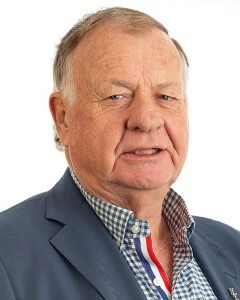 He was a government senator from 1990 – 1996 and the Leader of the Senate from 1994 – 1996. Between 1993 and 1995 he served as a Government minister in various portfolios and from 2000 to 2012 he was a Director of the Bermuda Hotel Association, he also served as its President and Chairman, and Co-Chairman pf the Bermuda Alliance for Tourism. 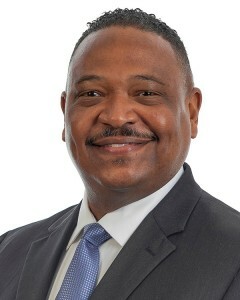 From 2013 to 2016 he was a member of the Tourism Board Executive Committee and Chair of Sales and Marketing and assisted in the creation of the Bermuda Tourism Authority. Mr. Winfield received a Queen’s Certificate and Badge of Honour in 2009 and the designation of The Honourable from HM Queen Elizabeth II in 1996. In 2001, he was recognized as Hotelier of the Year for Bermuda. He is a Certified Hotel Administrator and is a Fellow of the Institute of Hospitality. In 1978, he received the Bermuda Bravery Award for the courage he exhibited during the Southampton Princess fire. He is also a Justice of the Peace and served as Chairman of the Governance Committee of the Bermuda Hospital Board and on the Bermuda Independence Commission and has served on several Bermuda charities, including being President of the Bermuda Search and Rescue. In 2014 he was appointed to the post of CEO, America’s Cup Bermuda Limited. Meredith Ebbin began her working life as a registered nurse, but changed careers to become a journalist. She got her start at The Royal Gazette, and also worked for the Mid-Ocean News, but spent the bulk of her career at the Bermuda Sun. For all three newspapers, she wrote extensively about politics, education and social issues. Between 1999 and 2003, she was editor of The Bermudian magazine. She also edited the commemorative publication Bermuda 1609-2009 400 Years—400 Portraits, which was published by Bermuda’s 400th anniversary committee in 2009. 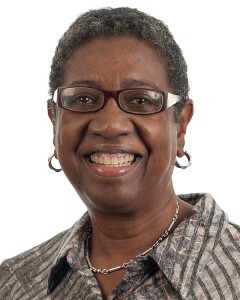 She also served as executive officer of the Bermuda Media Council. Now retired, Ms. Ebbin is involved with cultural organizations, among them the Department of Community and Cultural Affairs’ Bermudian Heartbeats Committee, and is a freelance writer. As founder and editor of the website bermudabiographies.bm, she compiles biographies of people who have made a significant contribution to Bermuda. 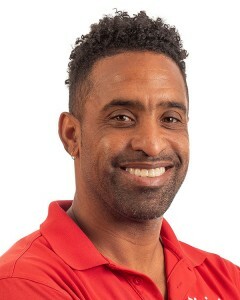 Janeiro Tucker is a cricketer, who captained the Bermuda team in their first One Day International [ODI] when they played against Canada on 17 May 2006; Tucker took 2-29 off nine overs and scored 17 as Bermuda won the game by three wickets. He has since gone on to play in twenty six ODIs for Bermuda. However, it is for his domestic cricketing exploits that he is best known. ‘Mr. Cup Match’ as he is often called, is the Classic’s most prolific run scorer and has the highest aggregate in the game [1,491 runs] and has a record five centuries including the top score of 186 in 2001. Sean Tucker started radio commentary in 1984. 2019 will mark thirty-five years in broadcasting. Well known as the apprentice to the late C.V. ‘Jim’ Woolridge, Sean has inherited his mantle as ‘The Voice of Summer’ bringing the sights, sounds and scores of every major cricket match to listening and viewing audiences across the Island. Congratulations to everyone. Wonderful to see Janeiro and Sean up there. Congratulations to all that made the New Year’s Honours list, especially Janeiro and Sean job well done. Amazing. Everyone of them preach equality but in practice say nothing about receiving awards like an OBE because there isNO empire. To accept is to accept the notion of British superiority long to rule over us…..meaning they have power and we are not equal. And there is no Empire. So why do we do this when we want equality and there is no Empire!!!!! Why does America celebrate independence day when they are already independant? Why do butterflies fly without butter? How many licks does it take to get the tootsie roll center of a tootsie pop? They never damn well told us! Congratulations to all recipients, and special praise to Janeiro Tucker and Sean Tucker for their contributions in bringing myself and many others great excitement and reward in the game of cricket _ soccer as well for Janeiro. Also, if I may single out Meredith Ebbin, who perhaps not known to her, has positively impacted my own journalistic career in her manner of carrying out distinguished duty in the field. Thanks to Dr Grant Gibbons for saving Bermudas a$$! I wonder who sets the award levels for the recipients. There is a clear inequity among the recipients, and who knows who was nominated and didn’t get a nod. “Mr. Cup Match” should be MBE at least. National athletes in the UK have been Knighted and the best we can offer Janeiro is a Queen’s Certificate? While this system has its place there is so much to say. It could be so much better.